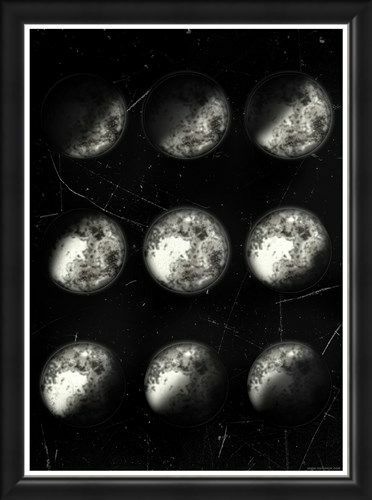 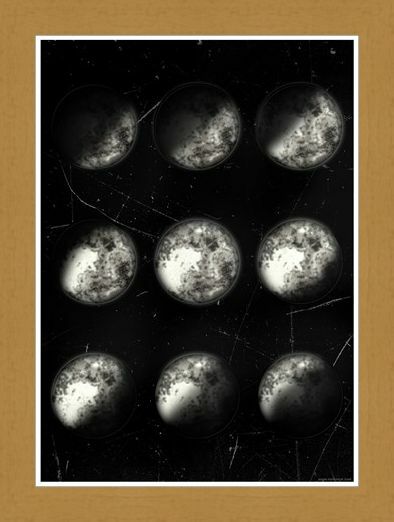 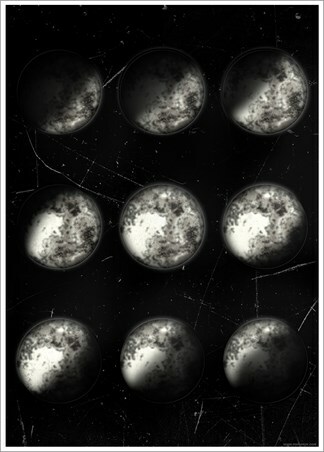 Keep track of our moon as it wanders across the night sky with this weathered style moon phase mini poster. Just like looking through the telescope, these 9 phases feature the waxing crescent all the way through to a full moon. 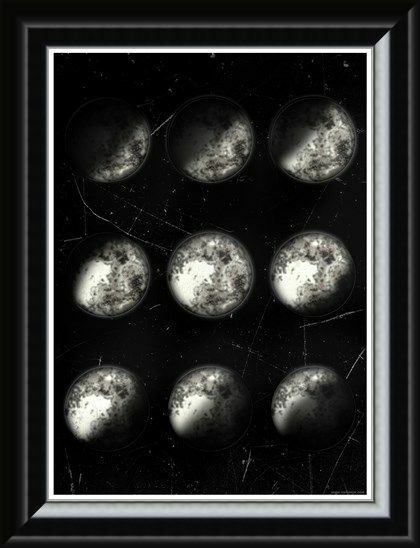 So count the days down from 29.5 and see our natural satellite in all it's glory. High quality, framed A Rocky Spectacle, Phases Of The Moon mini poster with a bespoke frame by our custom framing service.